If you are looking for luxury, extravagance and sheer comfort then this is the collection for you. 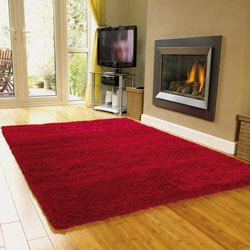 Machine woven in the EU in a wide range of colours and sizes, the rugs in this collection ooze class and elegance. For a deep, dark, sophisticated style, match the purple or red rugs with your curtains, cushions and feature wall; or for a lighter, brighter, fresh look, incorporate the beiges and creams of this collection with statement pieces in your room. The quality of these rugs speaks for itself, so just because they are in the cheap rugs collection doesn’t mean that you aren’t getting excellent value for money and a long lasting, colour fast rug.